CE Marked- 2 Hr Rated Pipe Wraps to suit 160mm PVC Pipes. 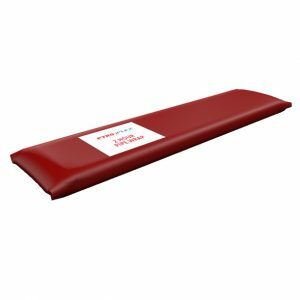 Pyroplex® CE Marked Pipe Wraps have been specifically designed to reinstate the fire resistance of a wall or floor which has been penetrated by services such as plastic flammable pipes used in soil, waste and drainage services. Pyroplex® CE Marked Pipe Wraps are available in two fire ratings; 2 hour and 4 hour. To fit, simply fix wrap around the pipe using adhesive tab and slide along pipe into wall/floor cavity. After insertion the cavity around the wrap can be made good with filler. Pyroplex® CE Marked Pipe Wraps are tested to BS 476: Part 20: 1987 and BS EN 1336-3: 2004 and have a European Classification in accordance with BS EN 13501-2: 2007.